KC and The Sunshine Band’s music has served as the ultimate soundtrack for parties around the world since they boogied onto the music scene over 40 years ago with electric mega-hits like “Shake, Shake, Shake (Shake Your Booty),” “That’s The Way I Like It,” and “Boogie Shoes,” lighting up dance floors. To amp up New Year’s Eve celebrations and ring in 2016, satellite radio network SiriusXM will broadcast the multi-platinum selling and GRAMMY-winning band’s full concert, LIVE from the Thunder Valley Casino Resort in Lincoln, California on its 70’s on 7 channel as part of an exclusive LIVE concert series. The show will begin at 1:30 a.m. on the East Coast on Friday, January 1. 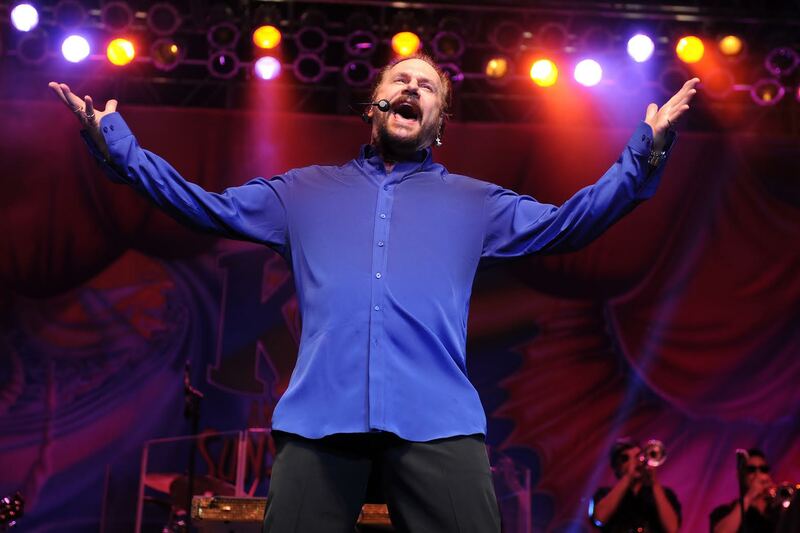 The 90-minute concert broadcast of KC and The Sunshine Band will feature the band’s scheduled set list of classic hits as well as new music from their latest album, Feeling You! The 60s, which hit stores in Spring 2015. With 15 band members, choreography, multiple brass instruments, elaborate stage lighting and various special effects, a KC and The Sunshine Band show is not just a concert – it’s a production meant to get listeners up on their feet and moving to every funky groove. Having been one of the most progressive bands of the 70s, KC and The Sunshine Band celebrate over 100 million albums sold, nine GRAMMY nominations, three GRAMMY Awards, and has been credited with changing the sound of pop music. KC and The Sunshine Band joins SiriusXM’s New Year’s Eve LIVE concert series line-up of A-list artists like Willie Nelson, Greg Allman, Jimmy Buffett, Widespread Panic, among others. The network’s holiday programming will also include its year-end countdown specials across fourteen music channels, classic New Year’s Eve concert broadcasts like Bruce Springsteen at the Tower Theater in Upper Darby, Pennsylvania in 1975 on E Street Radio and Elvis Presley at the Civic Center Arena in Pittsburgh in 1976s on Elvis Radio, and much more.KC and The Sunshine Band – LIVE in Concert on SiriusXM will be rebroadcasted on Jan. 1 at Noon and 6 p.m. ET, Jan. 2 at 9 p.m. ET and available On Demand.